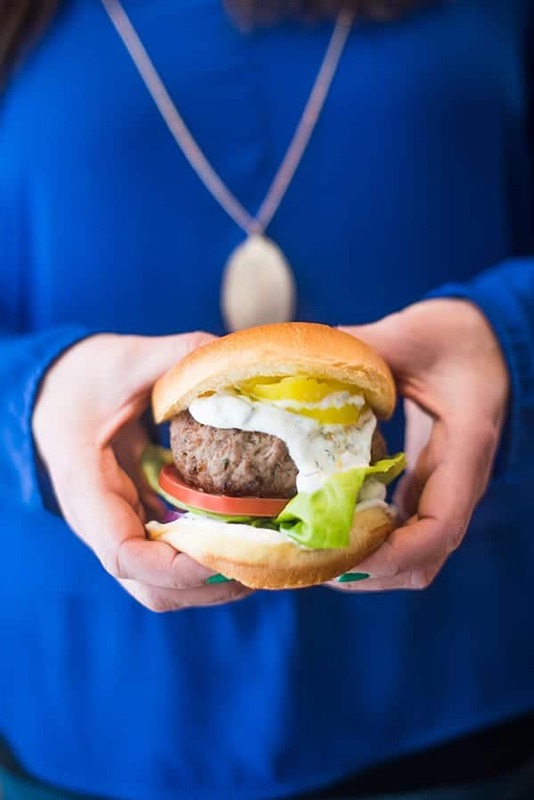 Thick and creamy Greek yogurt is blended with cucumbers, dill, lemon and garlic to create a healthy and addictive tzatziki sauce. Growing up, we always had plain yogurt in the fridge and I still do to this day. 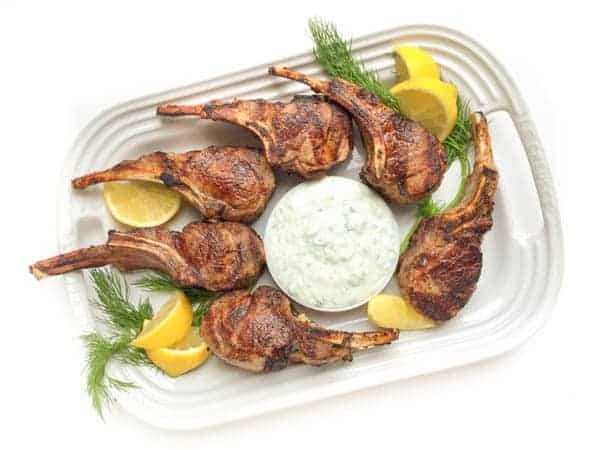 It is the perfect garnish for various Middle Eastern dishes including Lentils and Bulgur Wheat with Caramelized Onions or a piping hot Sfeeha (Lebanese Meat Pie) fresh from the oven. 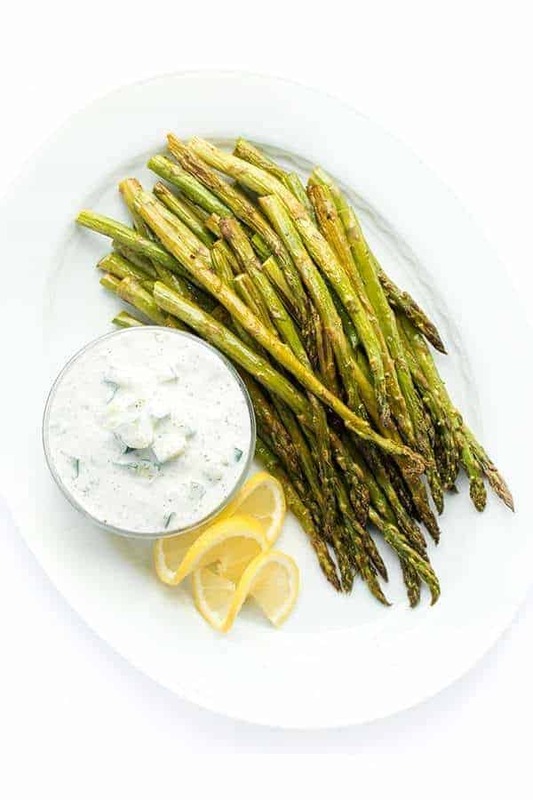 When I have a few extra minutes, I love turning plain yogurt into a delicious side dish by mixing it with cucumbers, lemon juice, garlic and herbs. 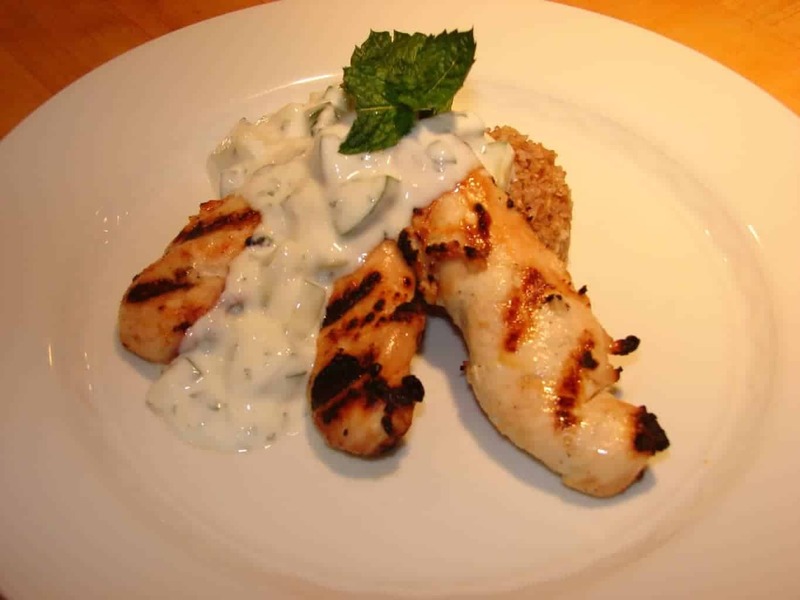 For an Indian twist, I’ll throw in chopped cilantro and garam masala to create Cucumber Yogurt Raita. 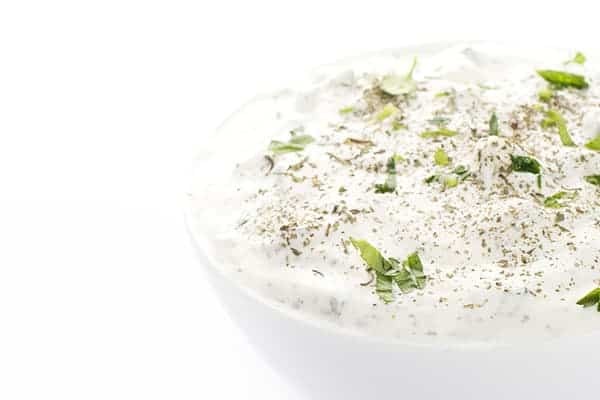 For a Syrian twist, I add plenty of fresh or dried mint to create Cucumber Yogurt Mint Sauce (Laban). 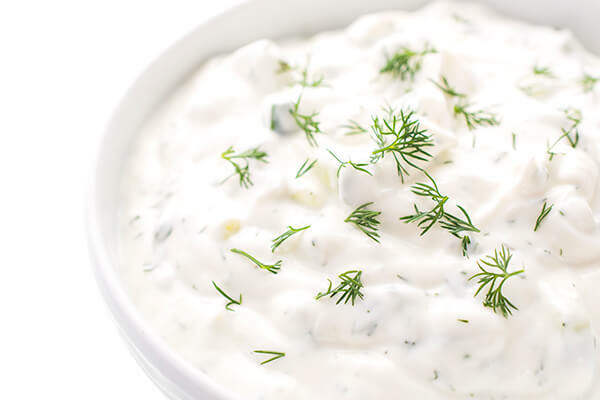 Today I am sharing the Greek version of cucumber yogurt sauce known as tzatziki which is full of bright and fragrant fresh dill. We love making a big batch and storing it in the refrigerator to use throughout the week. 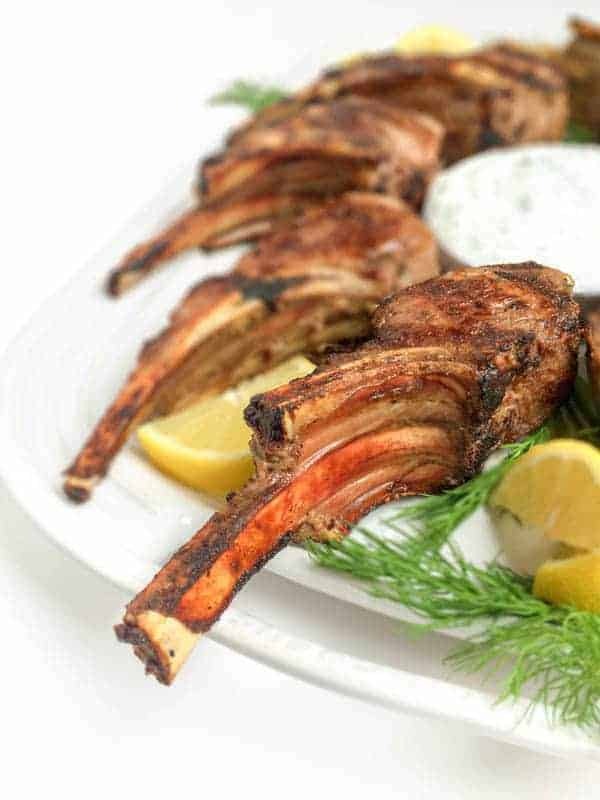 Serve as a dip with veggies or a sauce for Garlic Rosemary Lamb Chops or Beef Shawarma. Want to keep it vegetarian? 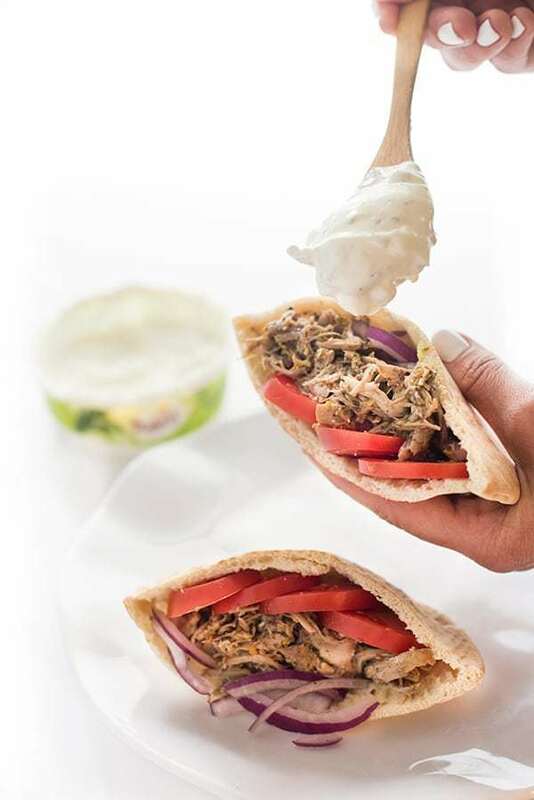 Serve in a pita with hummus and call it a day. 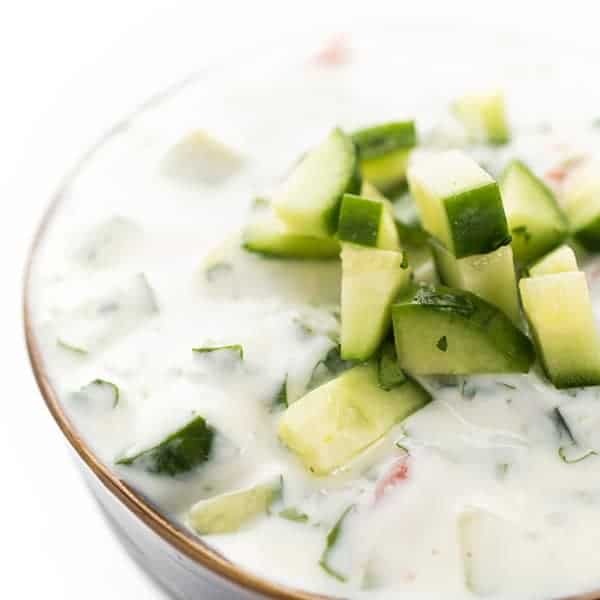 Thick and creamy Greek yogurt is blended with cucumbers, dill, lemon and garlic to create a healthy and addictive sauce. Combine all ingredients in a medium bowl check for seasoning. Add more dill, lemon, garlic or salt/pepper if you wish! I love tzatziki sauce. This one looks particularly good. Thank you for sharing this recipe! I love recipes that make use of dill in tasty ways. Can’t wait to try this one at home! It’s so good I hope you love it! What is the recommended serving size?? 1/4 cup! So sorry just edited the recipe to show that! I can’t wait to try this, Liz! I could eat this on everything! Pucker up because this is sour! I found this recipe to have far to much lemon juice in it. I made another batch leaving out the lemon to add to the first batch and it still has an over powering lemon taste. Oh really? I think it’s perfectly balanced but I guess everyone has different taste buds! I followed your recipe and thought it was perfect – thanks so much for posting this! I’m so glad to hear it Sam! Let me know if you try anything else! Different strokes for different folks. It’s delicious, so my taste buds say!